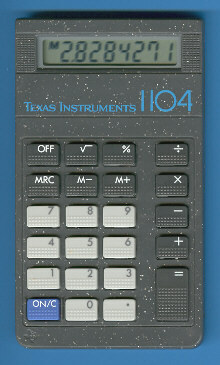 The TI-1104 was introduced in the year 1986 together with TI-1103. Both calculators based on the TI-1100 II. The production of the TI-1104 was shifted in 1989 from Taiwan to Malaysia but the inside story of the calculators kept identical.